Many thanks to NetGalley, Crooked Lane Books, and Kate Mascarenhas for an ARC in exchange for an honest review. My opinions are 100% my own and independent of receiving an advance copy. 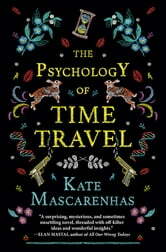 In Kate Mascarenhas fantasy novel, four women join forces in 1967 to develop the technology of time travel. 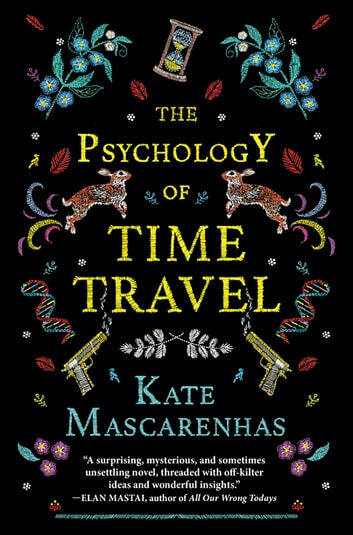 Mascarenhas has created an intricate world where time travel becomes its own industry. Her rules have been meticulously thought out and whether it is because of her scientific research, her understanding of the corporate world and her grasp of human nature to invent such a complex but completely believable world. I’ll let you in on some of the more unique details in this story, without divulging any spoilers that might ruin the mystery. You can’t travel further back in time then when the machine was invented. So smart, because it limits what would be endless possibilities and takes away the pesky issue of having to do a bunch of historical research. She has worked out a whole fuel plot point, that again makes perfect sense, even bringing in the idea of re-using fuel. In this world, you can not only meet yourself, but can have a number of different versions of yourself running around in any one timeline. How travelling through time can change you as a person, you ability to empathize and how it messes up your whole concept of death. You can know what happens in the future, but can never change events. The military, just as in real life, gets involved right away in the technology. Time travel becomes a huge industry, almost a world unto itself, where it has its own money and even its own justice system. I could go on and on. This attention to detail makes this world so believable and keeps your interest as a reader. You just want to keep discovering more about this world. Then on top of this we have the mystery. Barbara, one of the original four, has a reaction of sorts to time travelling. Unfortunately, this melt down happens on the day they announce their discovery to the press and Margaret feels she has embarrassed them. Margaret convinces the other girls to kick Barbara out and they cut off communication with her. Barbara never really recovers from being ostracized and after her hospitalization keeps trying to get back in the group. Eventually she marries and her daughter has a daughter, Ruby. Now it starts to get complicated. Let’s just leave it that there is a puzzle of a murder that happens in a locked room. Barbara makes a new discovery and thinks this is her chance to finally be able to time travel once more. Ruby gets a message that Barbara will die soon and she can’t forgive the group for being so cruel to her grandmother. All of these stories, moving together, have a way of working themselves to an exciting conclusion. For the most part, I really enjoyed this novel. Kate Mascarenhas imagination and attention to detail really are to be marvelled at. So much work went into creating such a complex story that is also heartfelt. You really are rooting for Barbara and Ruby. You can feel how twisted Margaret gets over the years. My only drawback is, with so many different moving parts and storylines, things did get bogged down for me and I started to lost interest in the middle parts. It was bound to happen. You are jumping from character to character and for a long time you don’t see the connection between them. You are also jumping from one decade to another to another. Nothing that would make me put the book down. Once I muddled through, it was worth getting to the end. There were lots of surprising bits and psychological twists that I never expected. Most importantly, the heart of the story didn’t get lost in the complex world building. I was so excited when I read the blurb about time travelling women scientists and I wasn’t disappointed.